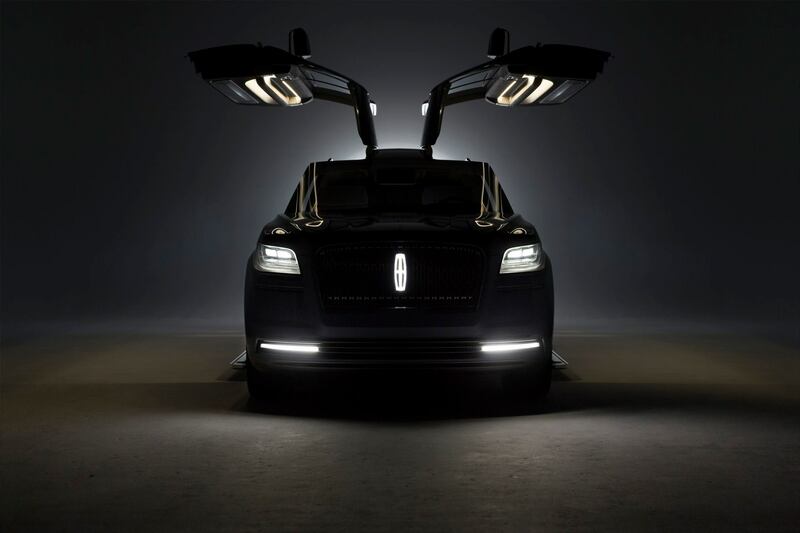 Model X inspired Ford on new Lincoln? Discussion in 'Model X' started by McHoffa, Mar 24, 2016. Those might LOOK like Model X doors, but they're just regular gullwing doors, and they are only for the concept vehicle and won't be on the production model. Meanwhile, Model X owners actually get real, usable vertical opening doors. Expect to see more copying of Tesla from other automakers soon. I will never understand why they put things on concept cars and then downgrade the actual production. Just showing off something they can't actually build. Plain embarrassing. Gull Wings are so last century. You'd think they would design a double-hinge by now. Without FWD you could find yourself sliding into a parking space that was free on both sides only to come back and be boxed in later. I would love to see a Navigator owner climb in through the back and over all the seats to get to the front so they could move their car. Without FWD they better have Summon mode. I'll bet it has cup holders in the doors and folding seats. But where do you plug it in?